Every year, the European Commission publishes a so-called ‘Enlargement Package’ which sets out the Commission’s policy on enlargement and reports on the progress of candidate and potential candidate countries. Ahead of the 2016 Enlargement Package, Fatmir Besimi argues that in the face of Brexit it is vitally important for the EU to emphasise the benefits of enlargement and reaffirm its commitment to those countries that wish to progress toward EU membership. Johannes Hahn, the European Commissioner in charge of Neighbourhood Policy and Enlargement Negotiations, is currently in the process of finalising the Commission’s 2016 Enlargement Package. This set of documents outlines the Commission’s policy on enlargement and reports on the progress of candidate and potential candidate countries. 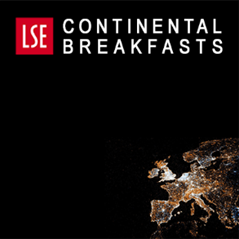 But with Brexit dominating the agenda, what is likely to be announced and what particular challenges and prospects are there for EU enlargement in the coming years? It is impossible to discuss the issues of enlargement and EU integration while ignoring Brexit and its implications, not to mention the reasons why the UK chose to vote the way it did on 23 June. Some of the explanations given for the vote include discontent among citizens over the various challenges the EU has faced in recent years, notably the financial crisis, the debt crisis in southern Europe, fiscal constraints within the Eurozone, the migration crisis, and terrorism. Taken together, these developments are assumed to have increased Euroscepticism, ultimately leading to Brexit. The immediate implications of the Brexit vote have been visible in short-run effects on the UK economy, particularly the depreciation of the pound and reduced prices of assets on financial markets, as well as a predicted slowing of economic growth over the coming years due to increased economic and political uncertainty (at least according to IMF growth projections). And at first glance, it appears to be a lose-lose scenario, with the EU losing an economy accounting for 17.5% of EU GDP (2015 GDP measured in current prices) while the UK stands to lose its access to the EU’s single market. Longer term implications are, however, yet to be seen. A clear vision will be required to avoid uncertainty and alleviate potential negative developments. Theresa May has indicated that she will invoke Article 50 of the Lisbon Treaty no later than the end of March 2017, although her ability to do this without a vote in parliament is now in doubt following the ruling by the High Court on 3 November. If Article 50 is triggered at this point, the negotiating process is expected to last until 2019 when the UK will officially leave the EU. Both Theresa May and Jean-Claude Juncker have agreed that the process should be undertaken in a positive and constructive spirit to ensure it is as smooth and orderly as possible. At the EU level, Brexit has been portrayed as a wake-up call for the EU’s leaders to strengthen their commitment to further consolidation, as stated by the President of the European Council, Donald Tusk, on 29 June. In Tusk’s words: “One issue is clear from our debate. Leaders are absolutely determined to remain united and work closely together as 27.” In essence, the EU’s focus should be to further deepen integration and cohesion among the member states. Against this backdrop, and alongside the EU’s crowded policy agenda focused on security, climate change, and other economic and political challenges, the question of future enlargement is at risk of being pushed into the background. Given the multitude of issues the EU is obliged to deal with, can enlargement policy really obtain the required level of attention at the EU level? One positive signal for EU enlargement, sent immediately after Brexit, was the Paris Western Balkans Summit Declaration in July 2016. This stated that: “In the circumstances marked by the outcome of the referendum in the UK, the Western Balkans participants reaffirmed that their future lies in the European Union. 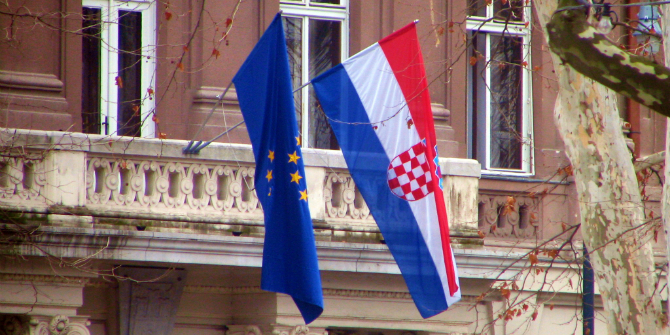 A clear European perspective was granted to all countries of the region.” The statement represented important political support for enlargement, in line with the principles articulated in the Treaty of European Union, which states that the EU’s values (Article 2) are to be respected and promoted by any European state that applies for membership (Article 49). The EU enlargement process has played a significant role in stabilising the region over the last fifteen years, based on the Euro-Atlantic approach for ensuring peace and prosperity. There has also been substantial recent progress, with Croatia becoming an EU member in 2013; Macedonia fulfilling the conditions to start negotiations in 2009; and Montenegro reaching this point 2012. Serbia, after a normalisation dialogue with Kosovo, also started accession negotiations, while in 2014 Albania received candidate status with the possibility to start negotiations. Kosovo signed a Stabilisation and Association Agreement in October 2015, and Bosnia and Herzegovina submited an application for membership in February 2016. In March 2016 it was agreed that the visa liberalisation process would be accelerated with Turkey. This came a year after Juncker’s statement, immediately after his appointment as President of the European Commission in 2014, that there would be no enlargement over the next five years – albeit, this was later explained by stating that it refers only to new membership and does not mean abandoning the enlargement process altogether throughout this period. It is clearly important to keep the process moving and strengthen its credibility: as we have seen with recent challenges across Europe, peace will be sustainable as long as there is prosperity in sight. In the present circumstances, it would be useful for the 2016 Enlargement Package to deliver the following five messages. First, that the EU remains committed to the enlargement process in the Western Balkans and Turkey. Second, that EU enlargement is a long-lasting process that requires firm reforms by the candidate countries with strong political commitment by local leadership, and that it should be an open and inclusive process with the full involvement of civil society. Third, that the EU will continue with comprehensive financial assistance for EU integration reforms, policies and infrastructure investments. Fourth, the new Enlargement Package should emphasise that enhancing regional cooperation will increase competitiveness and foster economic growth in the region. And finally, it is important to state that EU enlargement is mutually beneficial – something that must be explained to citizens of both candidate countries and the EU itself. As stated in last year’s EU Enlargement Strategy, there are three major strategic benefits of enlargement which justify further investment and full consideration by all member states: enlargement makes Europe a safer place, it helps to improve the quality of people’s lives and it makes us all more prosperous. 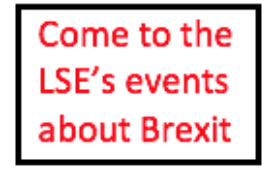 This article first appeared on EUROPP and it gives the views of the author, and not the position of LSE Brexit, nor of the London School of Economics. Featured image credit: Attribution-Share Alike 3.0 Unported. Fatmir Besimi (@fatmir_besini) is a Visiting Senior Fellow at LSEE – Research on South Eastern Europe. He was previously Deputy Prime Minister for European Affairs (2013-2016), Minister of Defence (2011-2013) and Minister of Economy (2004-2006; 2008-2011) in Macedonia, as well as Vice Governor of the National Bank (2002-2004) and an economist at the World Bank (2007-2008). Unlike Brexit, the Catalonian independence movement is very pro-EU. But will the EU accept it? If the author cannot, or or in all likelihood will not, acknowledge that the EU is a failed experiment and that the continued refusal by it’s so-called elites to face this fact, indeed the openly authoritarian and anti-democratic nature of their group mindset (think of Juncker and Schulz merely for starters, and then work your way down the list of apparatchiks) will not only accelerate its demise but quite possibly fuel an even more dramatic backlash than is currently quite visible to most normal people i.,e. those not blinded by a conviction of their innate superiority to ‘ordinary people (among whom, the author perhaps?) then I think Europe is in for a very bumpy ride over the next few years. For God’s sake, just look at Italy! How dangerously arrogant can myopic EUurophiles be? The author is living in a cloud cuckoo land…..The problem is he is not the only one..